Today the narrative of the Second World War is dominated, at least on the side of the Axis powers, by Adolf Hitler and the Nazi Party in Germany. After all, they were the primary adversaries of the Allies, and came close to becoming the single dominant power on the European mainland. 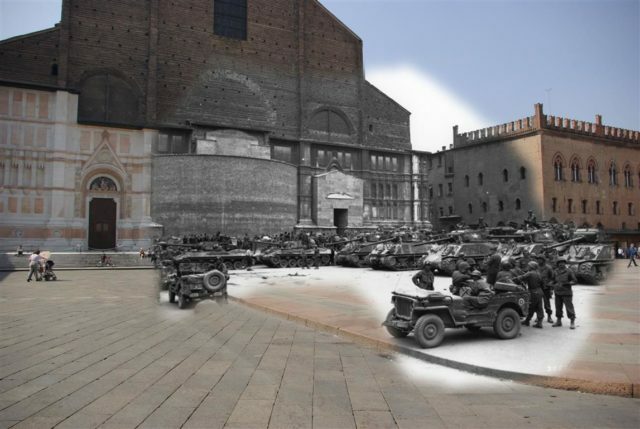 However, Italy was also a key player within the Axis nations, and as such it would go on to become a major battleground throughout the years. 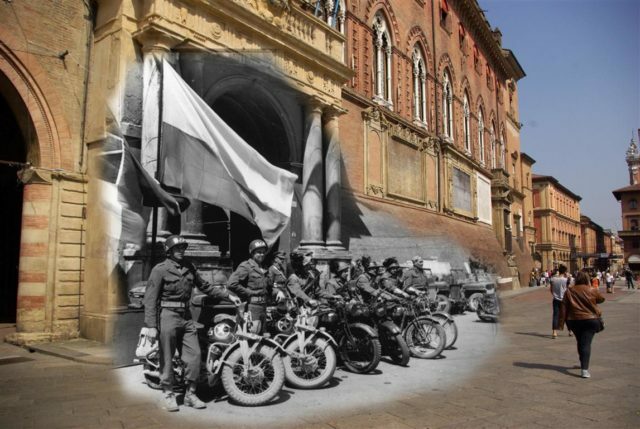 Under the leadership of the dictator Benito Mussolini, the country fought alongside its German allies, with their propaganda and recruitment campaigns putting a particular emphasis on their rivalry with the British Empire. 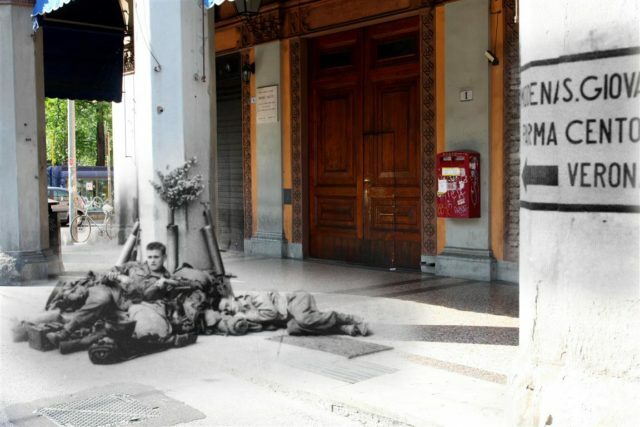 In July 1943, a large force of Allied soldiers landed in Sicily and began the invasion of the Italian peninsula. This was followed shortly by highly effective bombing raids against key targets in Rome, leaving the country increasingly demoralized. 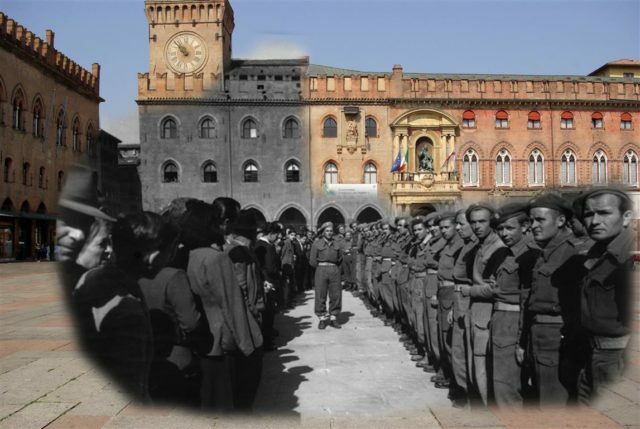 In fact, Mussolini was soon stripped of his authority and imprisoned by his own government. Those who took his place claimed to also be supporting Germany, but in secret they had already begun negotiating terms with the Allies. 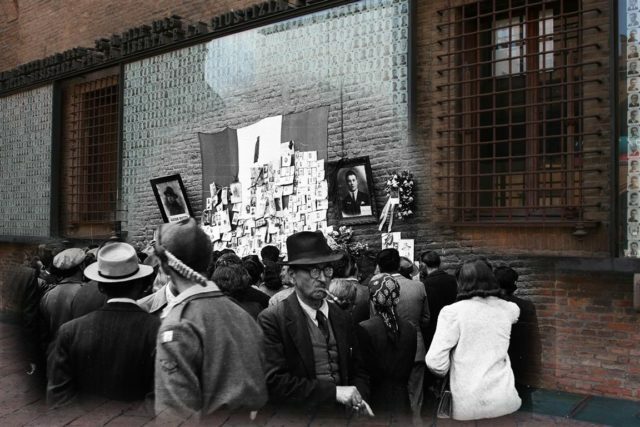 Only a few weeks after his fall from power, however, German soldiers freed Mussolini and took him north, there to establish a new fascist state called the Italian Socialist Republic. 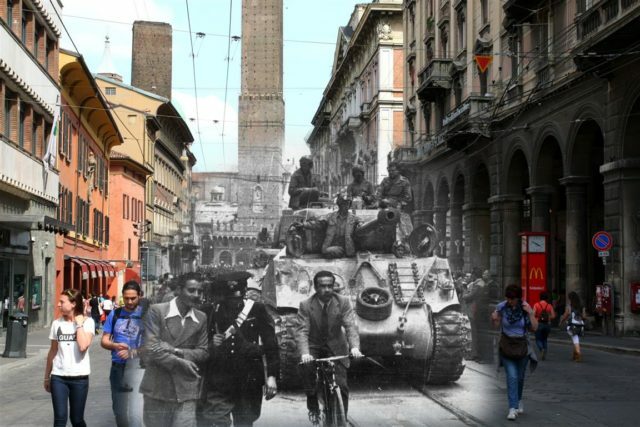 With Mussolini now at large once more and the occupying Nazi troops putting up an increasingly tough resistance, the battle for Italy was set to be a long and deadly struggle. 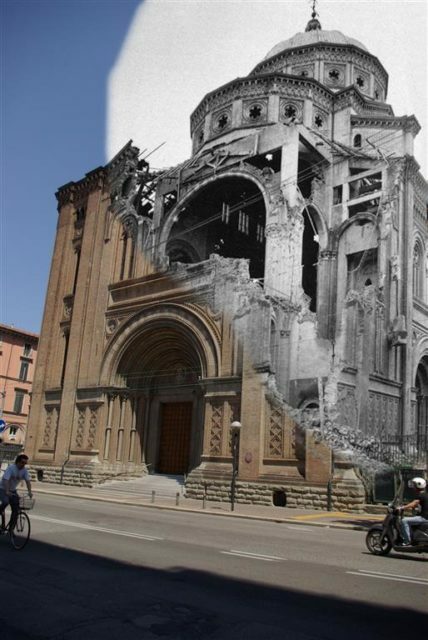 One city that suffered particularly heavy bombing was Bologna. 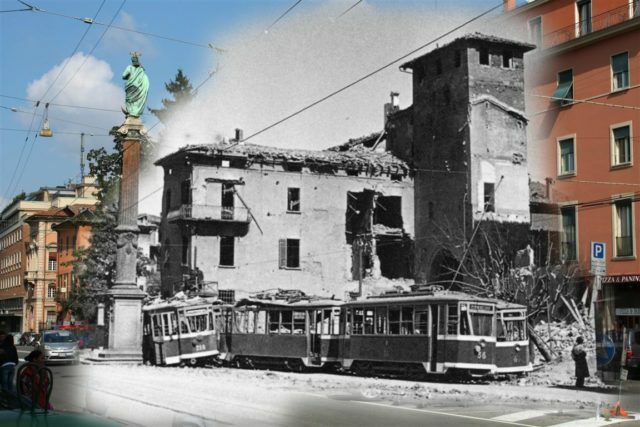 In the same month as Mussolini’s arrest and subsequent escape, this ancient town lost a large portion of its historic city center. The town was an industrial hub for the region, its numerous factories, and railways making it an obvious target for aerial bombardment. The Allies were looking for any way they could loosen their enemy’s grip on the region, so this was an obvious choice. 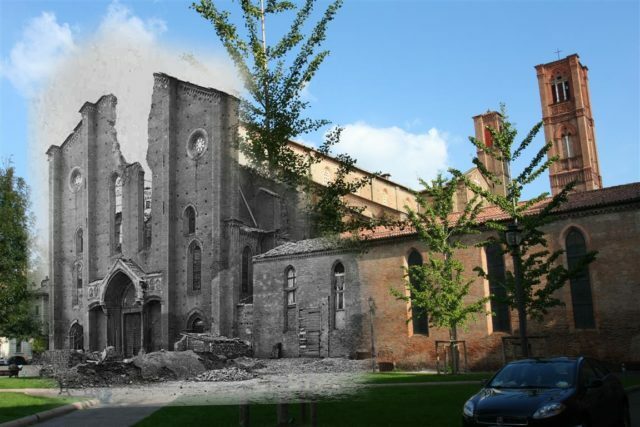 On the 16th of July 1943, Allied bombers swept over the city, launching an enormous assault. 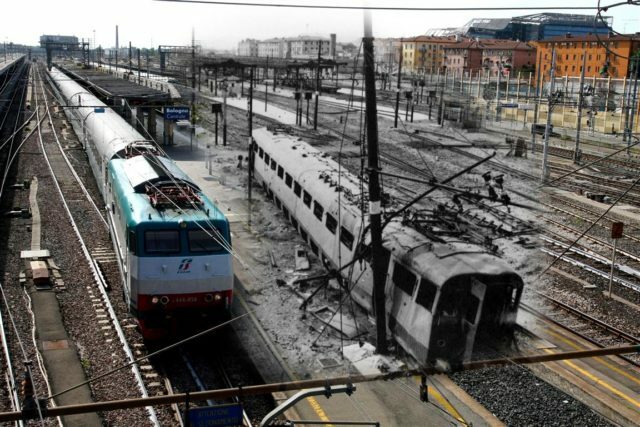 The town’s central railway station was heavily damaged, as was the surrounding area, and scores of civilians were killed. 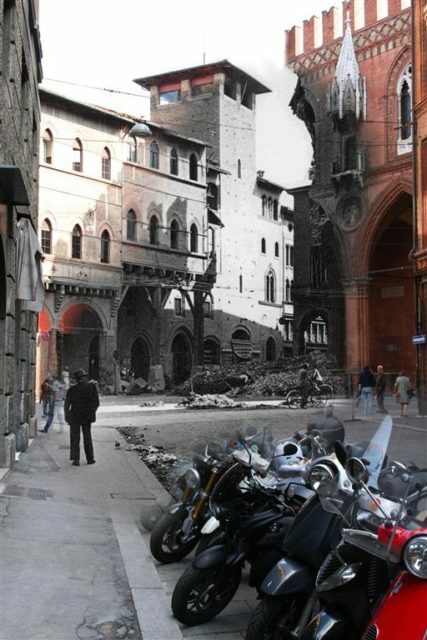 Since as far back as 1000 BC there has been some form of settlement where Bologna now stands. 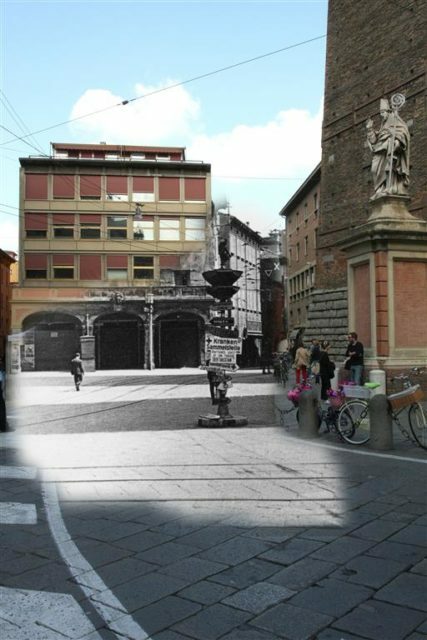 It has been home to ancient civilizations like the Etruscans and the Romans, and it contains the oldest active university in the world, which was set up there in 1088. 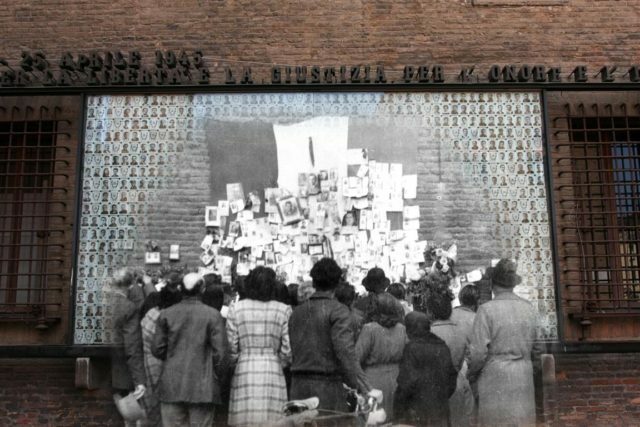 The raid in July left huge amounts of damage in its wake, not to mention the tragic casualties, but it wasn’t even the worse attack that year. 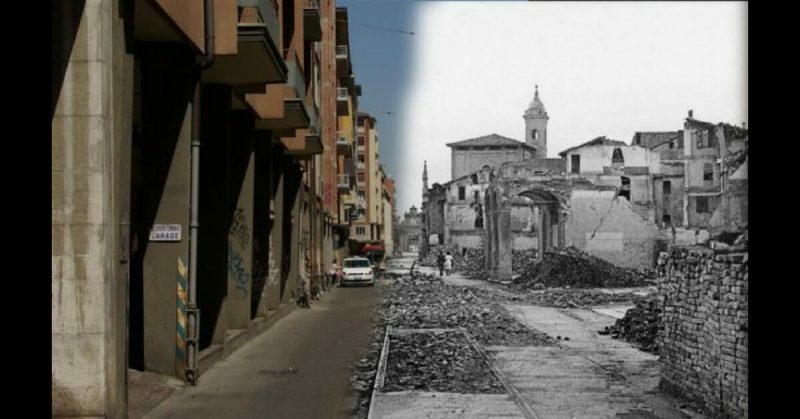 In fact, the city was once against targeted on the 25th of September, in another and even more intense aerial bombardment. 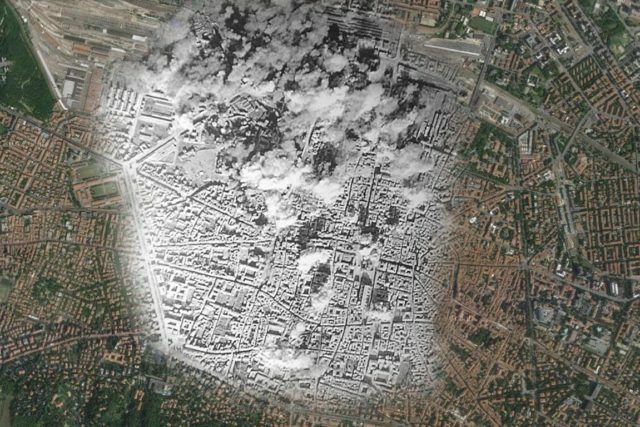 This time the bombing wasn’t just restricted to the city center and a few key strategic targets, and consequently, the death toll was much higher. At least 936 lives were lost, and thousands more were injured. 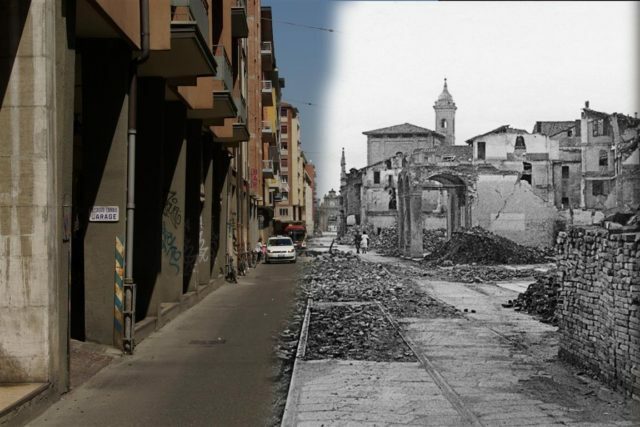 The aftermath of the 1943 bombing raids can be seen in these photos, generously provided to War History Online by photographer Fabio Franci. 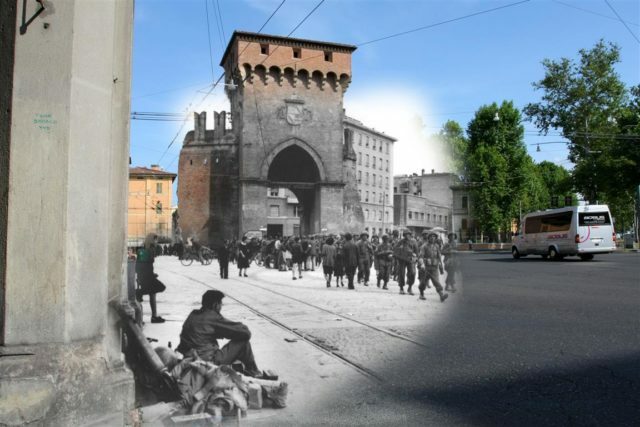 Not only has he gathered together a set of striking images from the Second World War, but he has painstakingly combined them with modern-day pictures of the same streets and buildings. 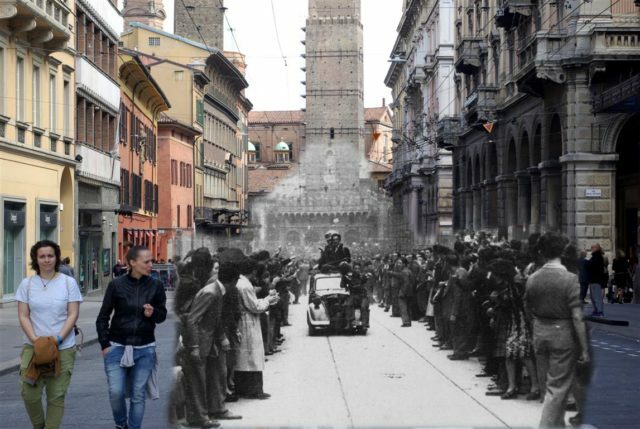 These collages have been constructed with extreme care and attention to detail, and show both the city and the people who lived there, in the past and present. 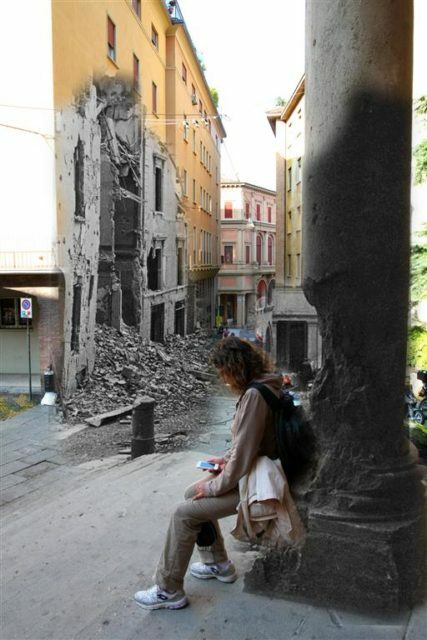 This creates a truly poignant effect, contrasting the devastation of the conflict with the peaceful normality the city enjoys today. You can find more of Fabio’s work on Instagram or Flickr. 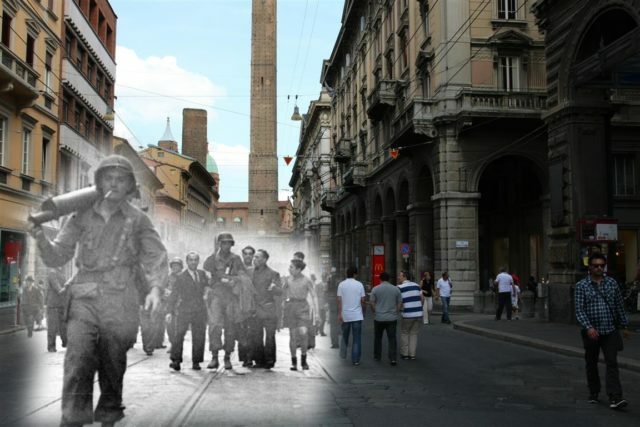 War History online proudly presents this Then and Now Photo Gallery from Fabio Franci. 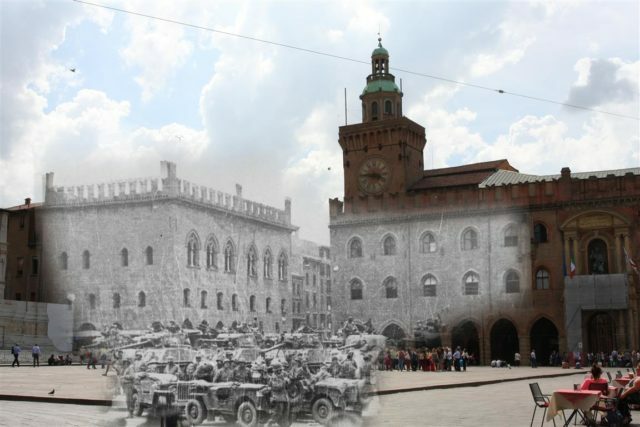 The Bologna Ghost of WWII: Once Upon a Time….Today.